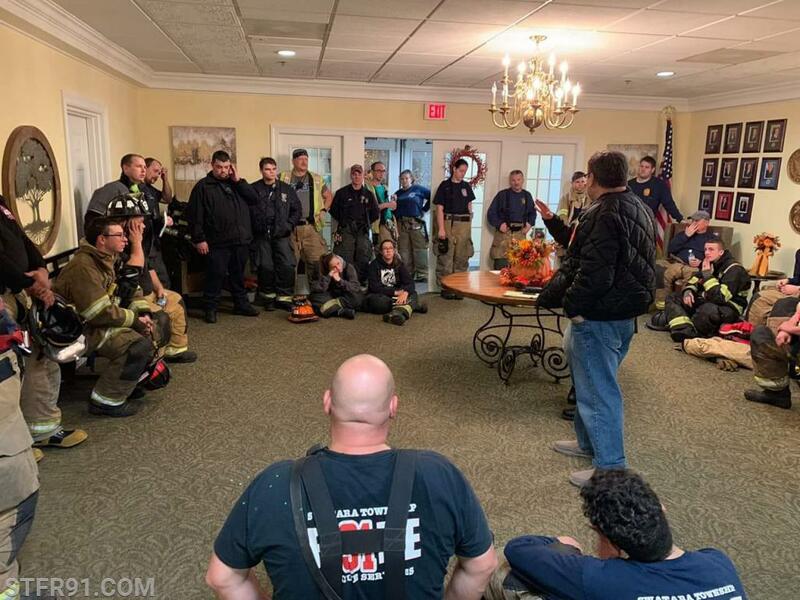 This evening Rutherford Fire joined other township companies, EMA, and Life Team EMS to participated in a training scenario at Greenfield senior Living. Crews staged a few blocks away and a fire was simulated on the 3rd floor with a smoke machine. Crews arrived staggered to simulate real response times and took the respective assignments based on our operating guidelines. The facility also used opportunity this to put there staff to the test. A short debrief was held to talk strategy and tactics. We would like to thank the staff and residents for their participation.